An Essential Part of any Business Professional’s Online Tool Belt! Effective social media marketing builds your brand loyalty and engagement. We position your company brand on social media sites for maximum exposure by identifying, building, and managing your social media networks. 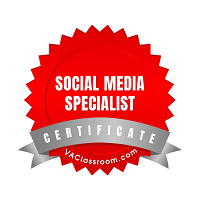 Our dedicated team of Social Media Specialists applies the latest techniques to get the results you’re looking for. Do what you do best and let us take care of the rest. *Weekly Blog can be added for an additional fee.